Set on the banks of the Ovens River it is the perfect spot for swimming, kayaking, fishing or simply relaxing watching the water run by. A nearby swing bridge readily accesses the Bike Rail Trail and extensive walking tracks. 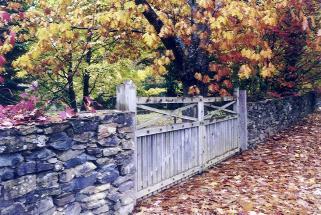 The river cottages are on the property's more open area with rockeries and ponds, decking and verandahs. 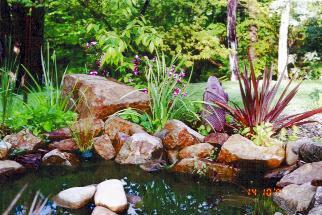 The gardens screen for shade and privacy and beyond these a grassed area slopes down to the edge of the river. Pathways link the cottages to the old gardens. These three ideally located cottages have the following common features:- linen supplied, queen size beds, double spa baths, wood fire heaters, reverse cycle air conditioning, galley kitchens, lounge/dining areas, access to broad band wireless and a shared barbecue area. 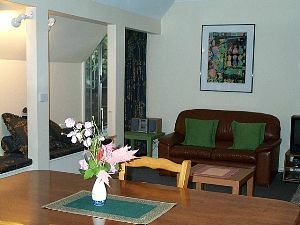 The garden apartments are built within the grounds of Merrimeet gardens. They overlook a courtyard with a fountain and beyond this to magnificent wooded gardens. A gateway leads to swimming holes, the Canyon Walk and a short-cut over the swing bridge to the Bike Track. These three lovely self-contained apartments have the following common features:- linen supplied, queen size beds, en suites with double spa baths, wood fire heaters, reverse cycle air conditioning, galley kitchens, lounge/dining areas, access to Broad band wireless and a shared barbecue area. The three bedroom Riverhouse is a recent addition to Merrimeet’s accommodation. 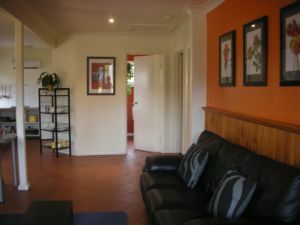 It is a few doors away in the same street, backs onto the Ovens River and is even closer to the town’s centre. A full length balcony stretches across the rear of the house and looks directly onto the river. The lounge and kitchen have views of garden and lawns sloping down to the water’s edge. 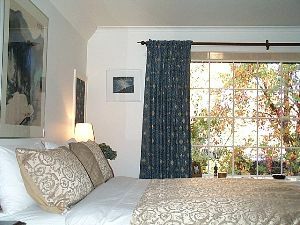 The Riverside house is ideally suitable for a family or a group of 6. 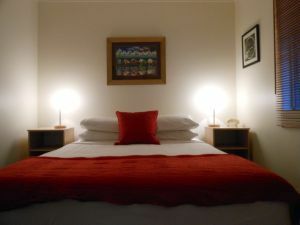 Two bedrooms have a queen size bed in each (one of these has an en suite), and the smaller bedroom has a single bunk bed suitable for 2 adults or 2 children.